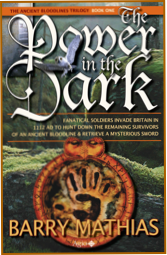 Set in the year 1112, in the reign of Henry I, this fast moving tale vividly depicts the simplicity of life in rural Wessex, where few can read or write and where many still believe in the concept of magic and the power of ancient swords. John and Gwen are unknown to each other at the start of this story. Their friendship develops against a background of foreign soldiers, who attempt to kill them, and the fanatical Knights of The Order, who wish to control and worship them. A brilliant start to an increasingly complex and historically accurate trilogy. Why is John called Gilles de Plantard, and what is his relationship to Gwen? As the story moves from Wessex to Stone Henge, and on to France, Cyprus, and the Holy Land, the Knights of the Order struggle to control Gwen and destroy John. Many new characters come into the story, most importantly Lord Ralph d’Escosse and the mystical Tegwin. While always in the background is the Moslem leader, with the red beard. After a huge battle between the Moslems and the Crusaders, Gwen and John are once again separated, each moving indirectly towards Jerusalem. 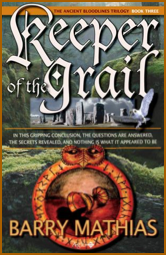 It is here that Gwen believes she will come to terms with the truth of her bloodline, and John will finally discover why he is named ‘the Keeper of the Grail’. 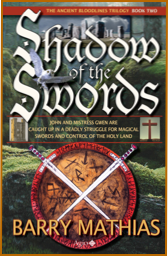 Amid a rich variety of characters, and the founding of the Knights Templar this fast-moving story comes to an unexpected conclusion. Awesome books, read them all! Thanks for the great writing that kept me occupied during sleepless nights! Unfortunately they never put me to sleep, just kept me hooked to see what happens next!! !